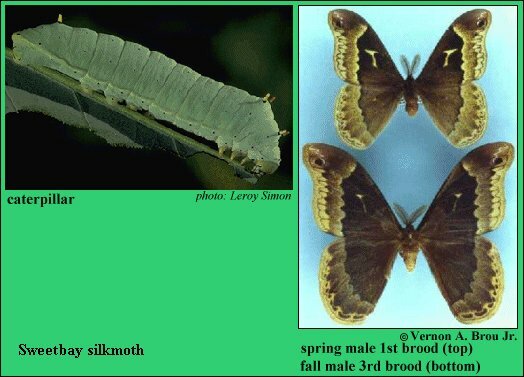 Identification: Males are much darker than females. 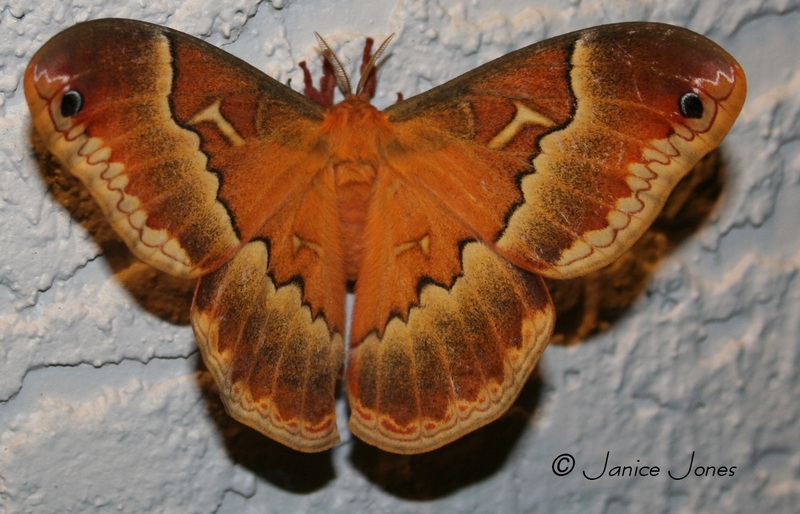 Wings are yellowish brown; cell spots are yellowish, those on hindwing are often reduced or absent in the male. Underside is without much contrast between the basal and outer portions of the wings. Summer brood is darker than the spring brood. In the extreme south, females of the spring brood are often yellowish orange. Wing Span: 2 15/16 - 3 15/16 inches (7.5 - 10 cm). Life History: Both sexes are active during the day, and mating takes place between 1 PM and 3 PM. 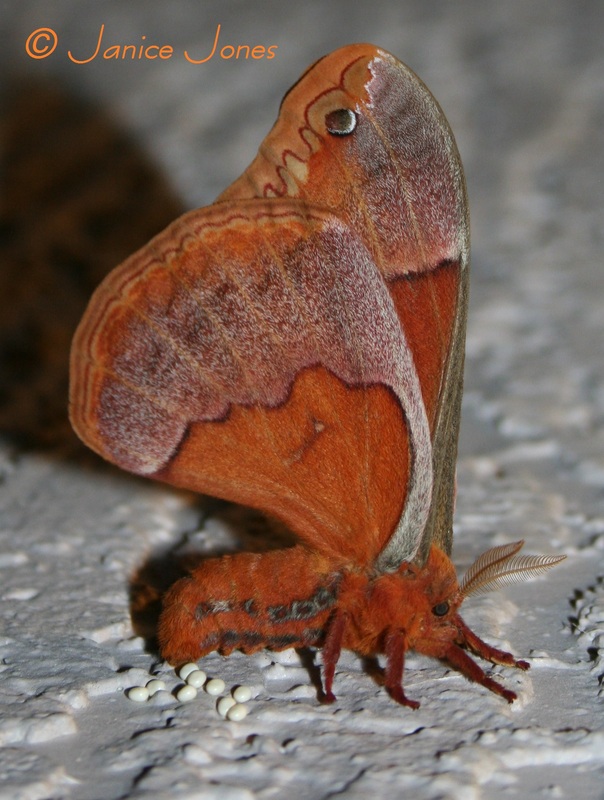 Females lay eggs at dusk, in short rows on the host plant leaves. Eggs hatch in about a week, and the young caterpillars are gregarious feeders. Older caterpillars are solitary feeders, and do not eat the main vein of the leaf. Instead, they cut the leaf petiole at the base and it falls to the ground, perhaps a defensive measure eliminating visual or olfactory signs of feeding. Several leaves are used to form the cocoon, which is attached to the host plant by a silk-reinforced petiole. The cocoon hangs from the plant throughout the winter. Flight: Two broods through most of the range from April-May and in August; three broods in Florida and southeastern Louisiana from March-October. Caterpillar Hosts: Sweetbay (Magnolia virginiana). Habitat: Coastal swamps and moist areas in pinewoods. Range: Coastal areas from Virginia south to the Florida panhandle and west through Mississippi.